Although the UO’s couples and family therapy (CFT) graduate program attracts accomplished students from around the country, some students do not have to venture far to find their ideal graduate program. Maiyra Espinoza is one such student. 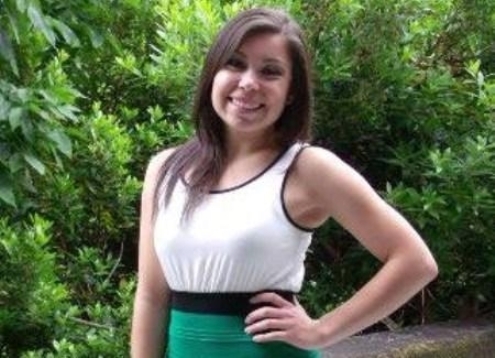 Espinoza just began her master’s studies in the CFT program after graduating from the UO in June with a B.S. in family and human services (FHS) and a minor in Spanish. An Oregonian by birth, Espinoza lived in Michoacán, Mexico, for six years before returning to Eugene for high school. Her time in Oregon, as well as her interest in the program, convinced her to attend the UO. “I felt like I already had a community built at the UO, plus the family and human services program was exactly what I wanted to study,” Espinoza said. Maiyra excelled in the FHS program and earned a yearlong internship at the Center for Family Development during her senior year. Through collaboration with the therapists at her internship, Espinoza became interested in continuing her education at the graduate level. One therapist in particular had graduated from UO’s CFT program and highly recommended it to Espinoza. With support and encouragement from undergraduate faculty in the FHS program, Espinoza applied and was thrilled to be accepted to the program. Espinoza‘s current goal is to focus on preparing to successfully pass her comprehensive exam at the end of this year, which will allow her to start seeing clients in the summer. In the long term, Espinoza hopes to become a licensed bilingual/bicultural family therapist in Oregon. “It is my dream to be able to work with immigrant families, especially with Spanish-speaking families,” said Espinoza.